In the past posts I have blogged about the new dashboard widgets primarily about PowerShell Grid & Web Widget. As in every technology there are cases were you stumble on some errors. This happens to me while playing with the PowerShell Grid Widget. 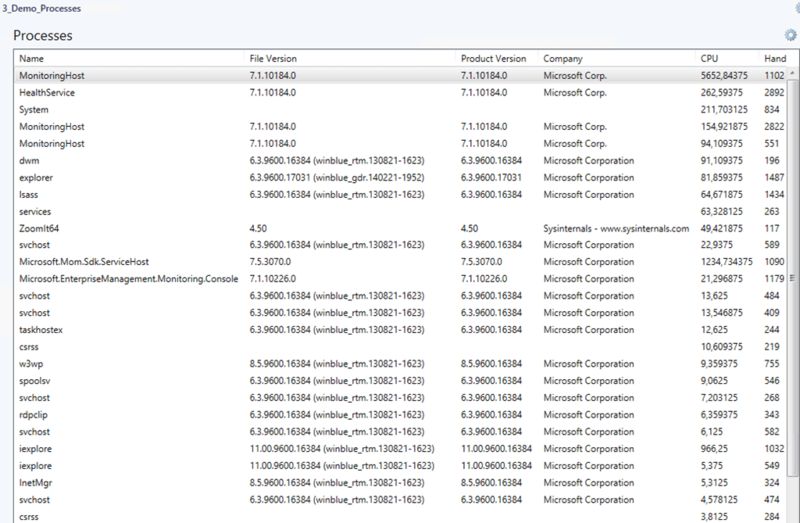 The following code should list all processes which have a CPU value and display them in the PowerShell Grid Widget. 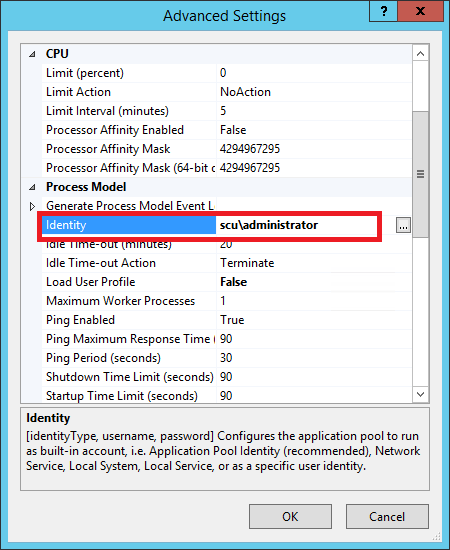 Displaying few processes is not a fancy thing and it worked in the SCOM console itself but as soon I opened the SCOM web console I faced an ugly error. Conclusion: Be aware of the fact that the PowerShell widgets are executed in a different context when running in the web console or SCOM console. If you run the PowerShell widgets in the “fat” SCOM console the scripts are executed under your Windows account which is starting the console. 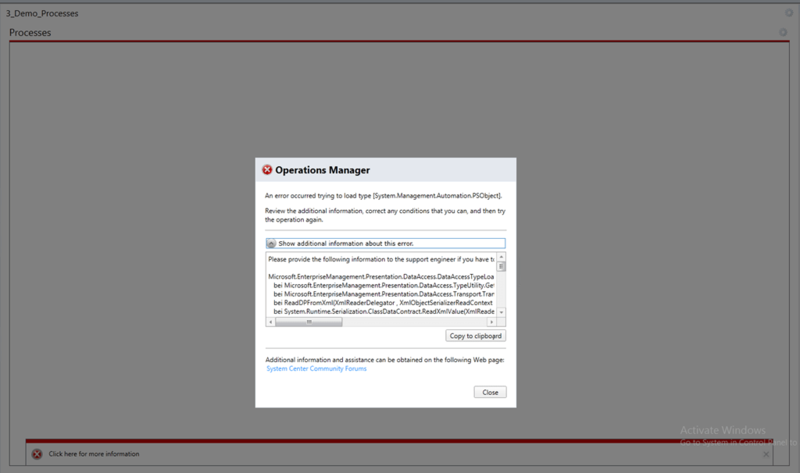 If you run it in your web console the scripts are executed using the OperationsManager application pool and the script will run in context of the ApplicationPoolIdentiy account which is a built-in restricted account. In addition check the data types you are using in your scripts there might be an issue. 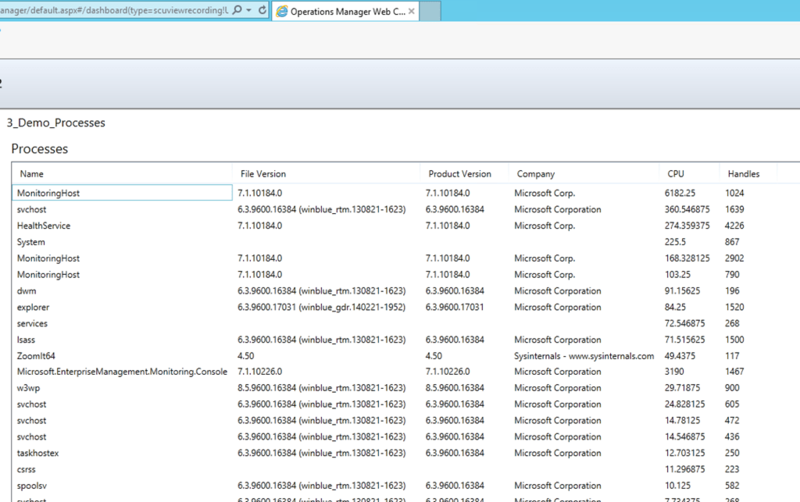 For more insights on these topics check TechNet Wiki. Can I change the execution time of the Powersehll script?